*Artists commissioned in the previous Cycle 4 are not eligible for the current Cycle 5. Read on and click APPLY below to get started! Team submittals must identify one member to act as point of contact for submittal/selection process and all related communication. Artists applying as a member of a team are not eligible to also apply as an individual. 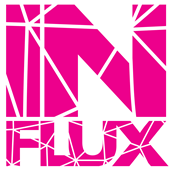 Click here for links/information about all IN FLUX Cycle 5 commissioning agency partners. To learn more about IN FLUX click here. OR meet with IN FLUX Project Mangers in person at one of our four Coffee Talk pre-submittal sessions. We will be there ready to answer your questions one-on-one. Click here for Coffee Talk Schedule. Learn more about the City of Phoenix Office of Arts and Culture.